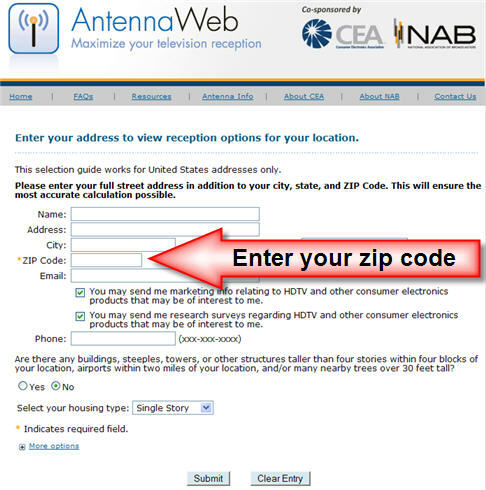 The easiest way to see what channels are available in your area is to visit a site called AntennaWeb.org. If you want to get the most accurate estimate, go ahead and enter your street address, town and zip code. Or, if you are in a rush or don’t want to give out your personal information, just enter your zip code. On the left hand side, there is a column for Antenna type. Results can vary, but from my experience I was able to pull in stations coded in yellow and red with a very inexpensive $16 antenna from Radio Shack. If you are more than 30 miles from most stations, you will probably want to get a larger grid type antenna and place it in your roof or attic. If availability looks good, you’ll want to pickup a low cost digital tv receiver (also called a digital converter box). Right now the government is offering $40 coupons towards these receivers. This is fantastic! I’ve resented the fact that we have to PAY for cable at all! Years ago, when cable was first starting out, the big selling point was, yes – you have to pay for it – but no commercials! So…decades later, we’re still paying more & more, and we have just as many commercials as broadcast! I’m definitely following your advice, and will pass on your website to friends. Great site. You have really made it easy for someone to switch to an antenna/internet setup to save a lot of money. As a quality antenna fanatic. I would love to talk to you about your antenna recomendations. The “grid” type you talk about is UHF only and won’t allow people to recieve VHF station which will be in over 90% of the US markets after February 09. Thanks again for a great website and message. We had great success with Radio Shack’s Indoor/Outdoor HDTV antenna Model: DA-5200. This antenna is AWESOME – other antennas were problematic for us, (due to the hills and canyons in San Diego) but this one picked up stations more than 100 miles away. We would get about 25 channels with it, including Los Angeles stations. Nice site! It’s good to see more folks picking up the story line on free OTA digital TV. I’ve been doing this for nearly a decade now. 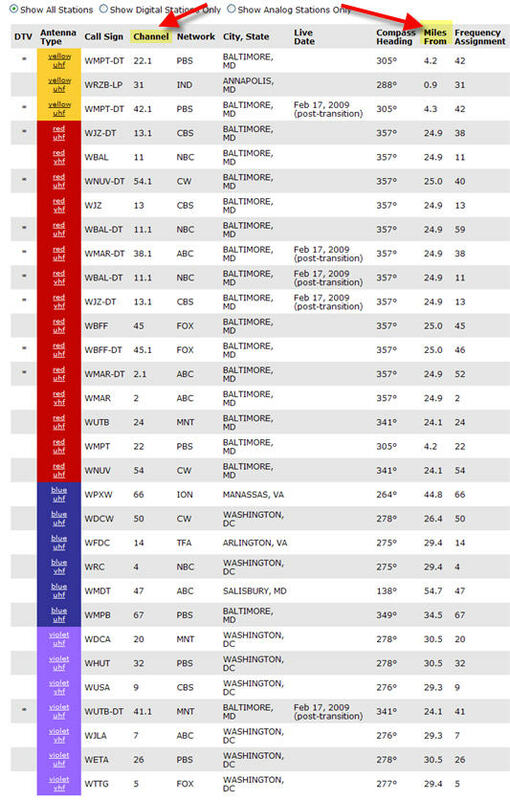 One suggestion: I find the TV Fool (www.tvfool.com) Web site to be a lot more accurate than AntennaWeb, which does have some erroneous or outdated information on it. Pete – thanks for the TV Fool tip. I’ll be sure to check it out! I heard about bypassing cable on KIRO radio this morning and look forward to exploring the possibilities. I’ve recently returned from a year’s tour in Afghanistan. I’m celebrating being home by buying my first flat screen tv. I love the idea of canceling my cable but really need an idiot’s guide to this process (Step 1, buy this, Step 2 install this etc.) I think your website is great but there’s no “How To” section. Can anyone help? (oh, and I live in a condo apartment) Cheers! You know it used to be when a 30 minute sitcom came on, you’d get a commercial at the beginning, the middle and the end of the show. Just the other day I watched a very interesting program; I actually timed the commercials of this program. Every 6 minutes I would get a 3 minute commercial. And if any of you can remember back when cable TV cam out; the purpose to purchase cable TV over antenna TV was to NOT have to watch commercials. Now days I’m paying $69 per month and all I get is commercials. More than 1/3 of the channels are INFOmercials. The TV producers should figure out another way to make a profit without the expense of wasting my time. Oh, and another thing, when a commercial does come on every 6 minutes I have to mute my TV volume because the commercial mysteriously gets turned up about 4-5 more notches. I thought Congress enacted a law that the commercials were not to turned up without me turning up the volume? I’m sick of paying to watch commercials. Any suggestions very much appreciated…. Would love to cancel cable/satellite but would lose access to live NFL games…any suggestions??? I am getting frustrated with the antenna search. I have tried ones from 19 to 39 dollars & still only get 9 groups of channels. Is that typical? Can someone suggest a good antenna? I would appreciate it. Thank you.